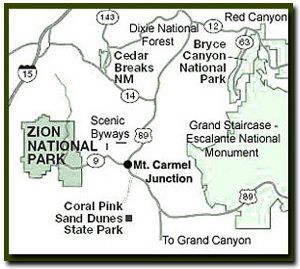 There are a couple of ways to obtain Zion backcountry permits. 1. A limited number of walk-in permits are available for all backcountry areas. 50-75% of the total number of backcountry permits will be available as reservations. The remainder will be available as walk-in permits. Any Backcountry camp or day-use canyon not reserved by lottery or calendar, are available as a walk-in permit. Walk-in permits are only available the day before or the day of a trip. During weekends and holidays, from April through the middle of October each year, permits may be difficult to obtain for; Subway (Left Fork of North Creek) Mystery Canyon, Virgin River Narrows and West Rim. During that time you may have greatest success in obtaining a walk-in permit if you arrive at the Zion Canyon Backcountry window or desk the day before your intended trip. Many permits can be issued online. Visitors need to sign up every three years for the express system. This program allows those that use the Zion slot canyons and backcountry often a way to obtain a permit on-line. To participate in the program go to the backcountry desk and complete their program. Due to the popularity of "The Subway" and Mystery Canyon a lottery has been setup to dole out permits for these two slot canyons. Reservations can be revoked in the event of adverse environmental conditions such as flash flood dangers. A permit will still need to be picked up in person at the Backcountry office the day of or the day before the hike. If your party is a member of the express permit program the permit can be picked up on-line the day of or day before the hike.